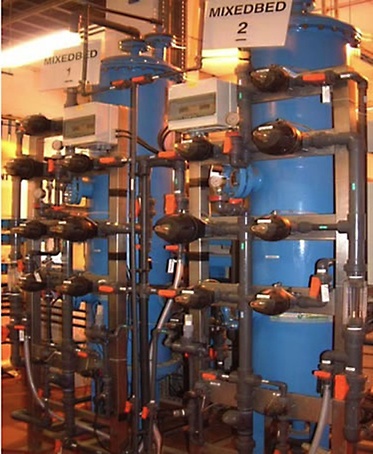 Hydroklear's demineraliser plant treats raw water to potable standards and provides high purity water. It is suitable for industrial and municipal use, and is supplied throughout the UK and Europe. Designed to interface with break tanks, booster pump sets and level controllers, it is fully automatic and has a flow rate of up to 50m3h. It has an operational pressure ranging from 2.5-5.5 bar, with temperatures ranging from 30-450°C. Standard designs can be tailored to clients' requirements. 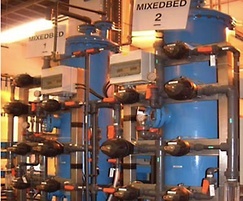 Options include simplex or duplex versions, multiport valves or individual valves. 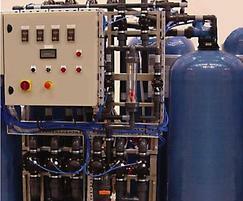 Hydroklear installs equipment, and supervises and provides commissioning services. 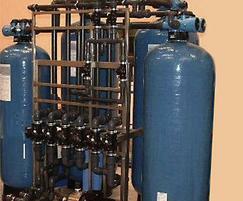 Plant upgrading and refurbishment is also undertaken.